We spent Thursday in Chicago, first hitting up the Art Institute of Chicago, of which the modern wings were closed for renovations (foiled again!). Nevertheless, Becky managed to drag it out into an hours-long affair and Jonathan was a good sport. We did get to see Millennium Park before we left, though, and had a delicious lunch of sandwiches and sangria at an outdoor restaurant in Grant Park. 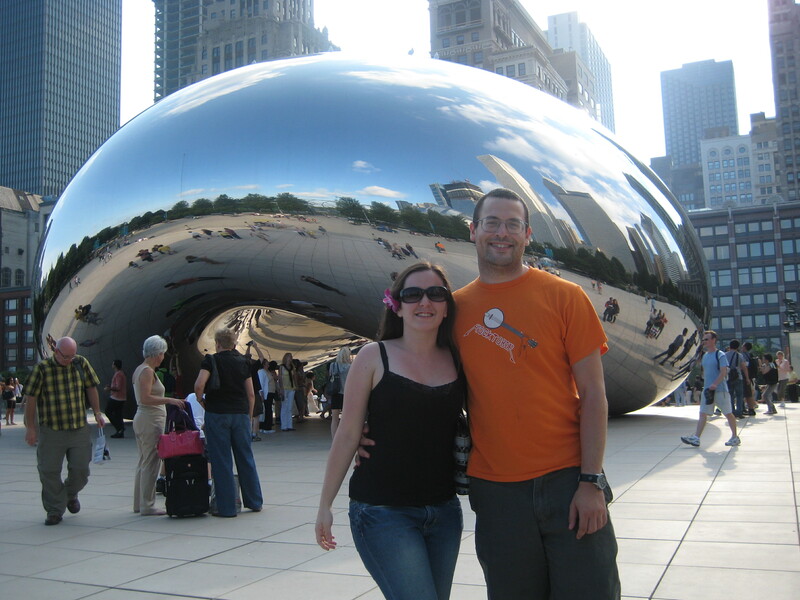 Becky and Jonathan enjoy the Chicago skyline and a giant metallic bean! Giant swirly slides from the top floors of a hotel?! 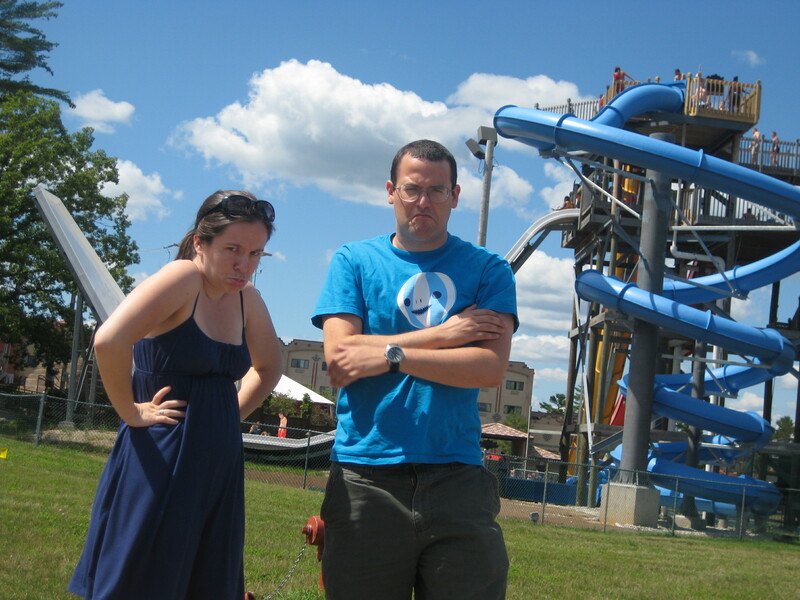 Turns out it was an indoor/outdoor water park — not something either of us had ever seen before. We tried to go in and race each other down the waterslides, but the trolls at the gate wanted an arm and a leg for entrance (no kidding, they had chainsaws!) so we left. 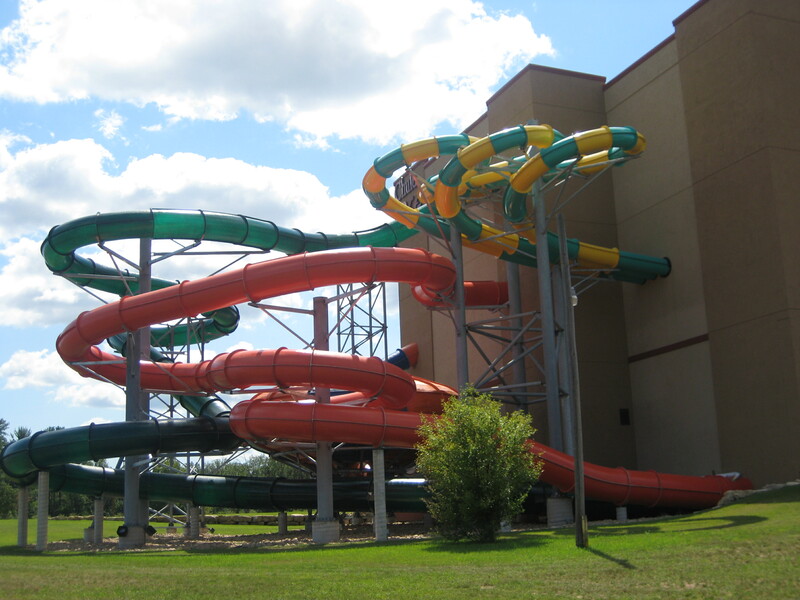 Anyone would pout if they had to skip a water park like this. We did have a lovely picnic dinner on a small island park in the Mississippi River, which forms the border between Wisconsin and Minnesota (we dubbed the park Wiscesota, pronounced “whisky-soda”). Minnesota certainly did not disappoint. We’re convinced it has the cutest farms in the nation. 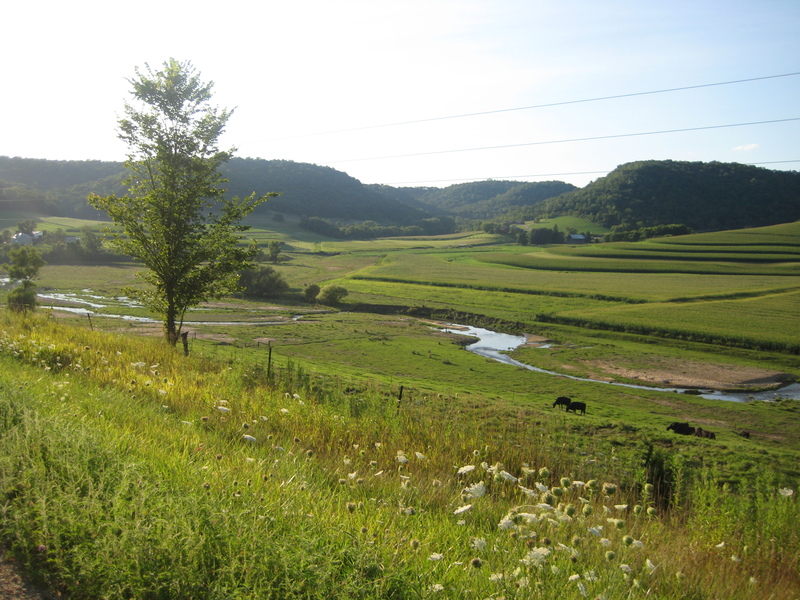 Minnesota was full of little farms nestled in beautiful rolling hills. This entry was posted on August 18, 2008 at 9:28 pm and is filed under Uncategorized. You can follow any responses to this entry through the RSS 2.0 feed. You can leave a response, or trackback from your own site. I love this photo! I’m working on a project in southeastern MN – any chance I could use this photo for a piece about current agriculture in the area? If you could let me know what your use rights and costs are, I’d be grateful.